Want to care for the environment while you clean? 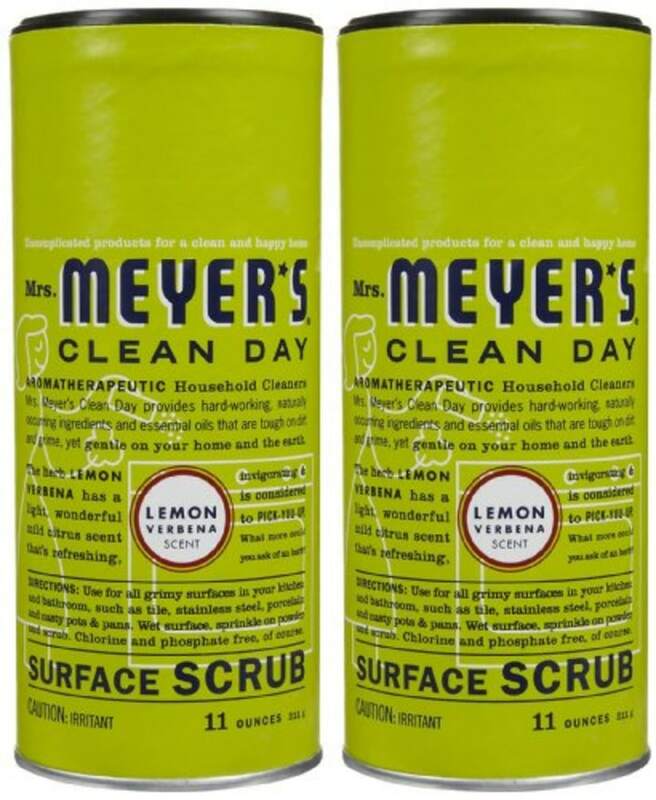 Check out these eco-friendly cleaning supplies recommended by a top green cleaning coach. Cleaning house is good for the spirit but it’s not always good for the environment. That’s because many of today’s cleaning products contain volatile organic compounds (VOCs) which, when inhaled or touched, can harm you and your family. We asked green cleaning coach Leslie Reichert, a longtime advocate for environmentally safe cleaning, to help us choose some great eco-friendly products. Try them for a clean house — and a cleaner environment. 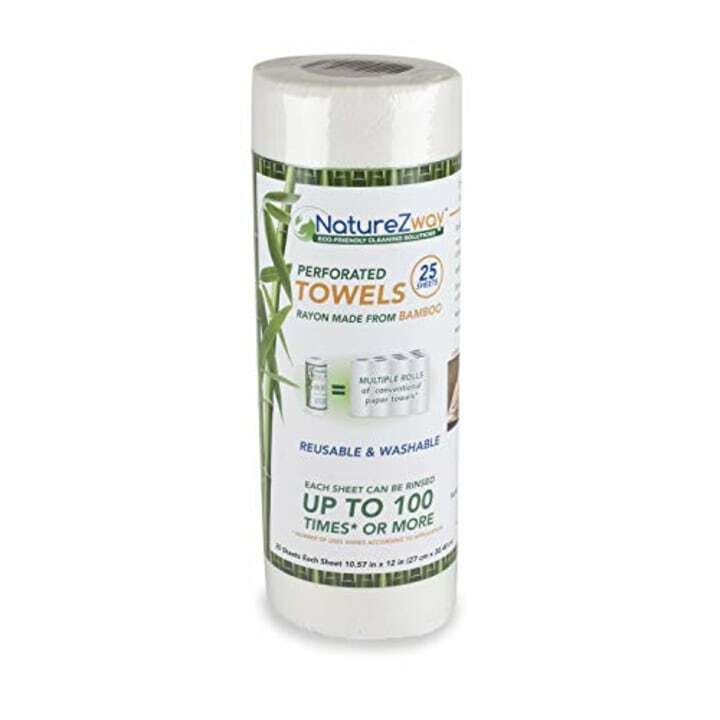 These towels can be hand-rinsed up to 100 times, drastically reducing paper towel consumption and waste. So tough they function like cloth, bamboo towels can handle scrubbing and cleaning tasks all over the house, from greasy cooktops to grungy tubs. Made from sustainable and renewable sources, they leave minimal or no imprint on the earth at the end of the product life cycle. “I’ve tried these. Great product!” Reichert said. 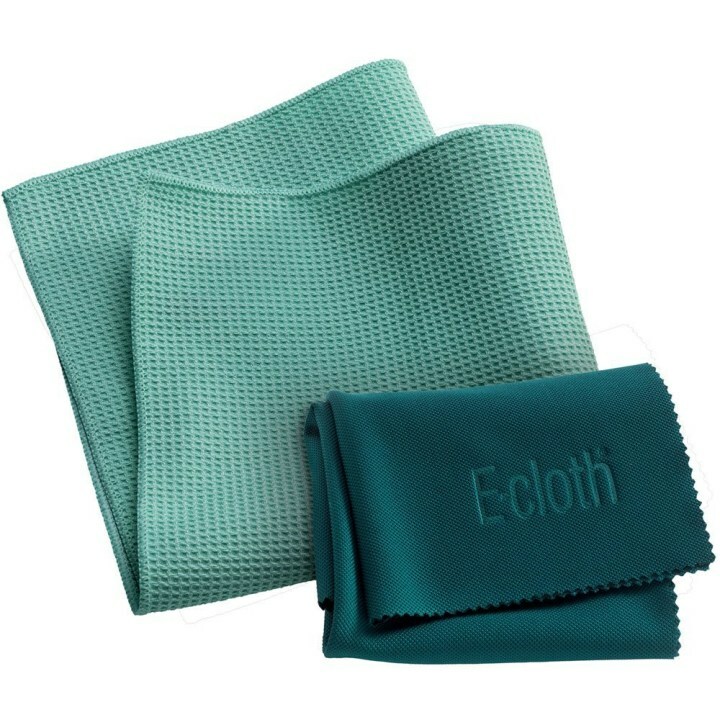 Microfiber on steroids — that’s how we describe E-Cloth. Its super absorbent fibers tackle dirty windows with just water, no chemicals! Get lint-free, streak-free, sparkling windows and save trees at the same time. Each cloth is good for up to 300 washings — that means a lot of clean windows! “You get what you pay for without overpaying,” said Reichert. Also available for $3 (for one) at Walmart and for $4 (for one) and Bed Bath & Beyond. 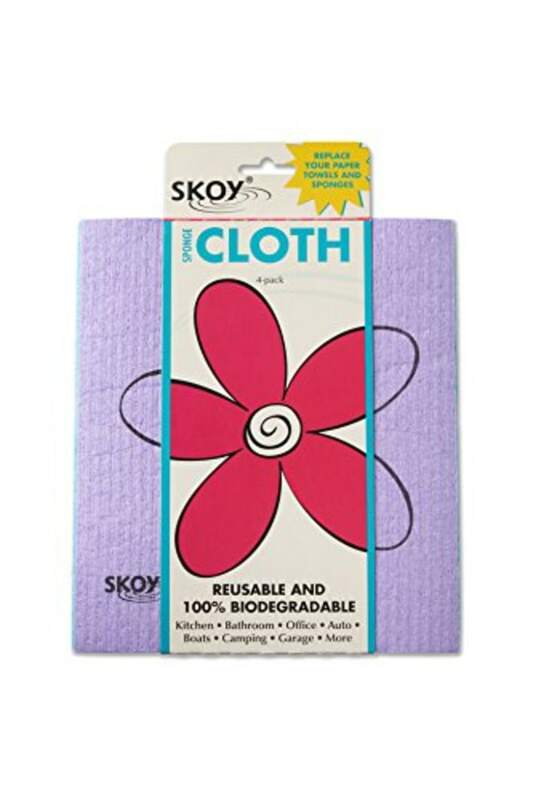 Another way to eliminate paper waste in the home, a single Skoy cloth replaces up to 15 rolls of paper towels and is 100 percent biodegradable. Skoy Cloth can be used like cloth for cleaning, yet it is more absorbent (it absorbs 15 times its weight). Plus, it dries quickly to prevent the growth of bacteria. Reusable, it is safe for the dishwasher, washer and dryer. 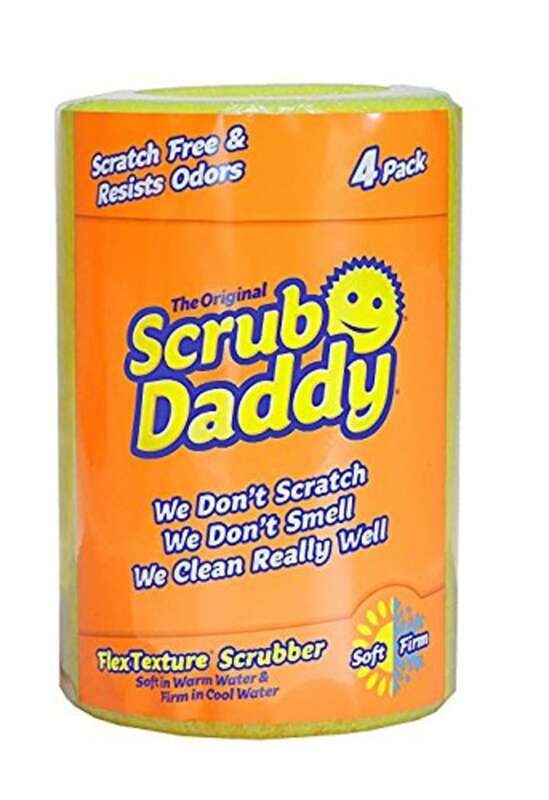 “I love the cloth AND their scrub! !” added Reichert. Tackle tough toilet bowl rings with a pumice stone. Safe for porcelain, it removes rings with just a bit of elbow grease. “Toilet bowl rings are tough. This product wipes them out!” said Reichert. Note: Most of these products have been graded A or B by Environmental Working Group, a nonprofit, nonpartisan organization dedicated to protecting human health and the environment. 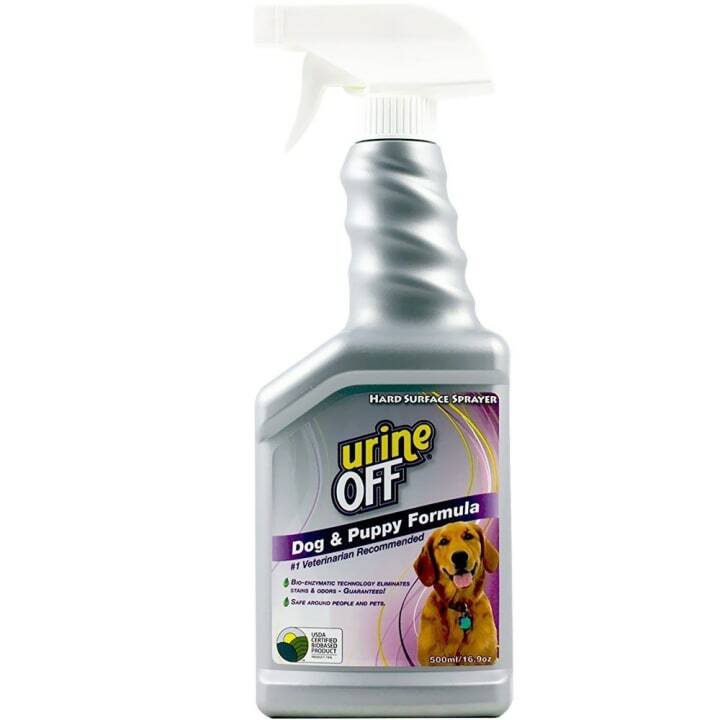 UrineOFF is formulated with specialized enzymes and bacteria that break down urine (and other bodily discharges) that cause odors and stains in bathrooms. Ideal for tubs, tile, grout, toilet, sink, floor and walls. No harsh chemicals. Especially useful in homes where incontinence, pets or “poor aim” are a problem. If they can hit it, Urine off can get rid of it! “This stuff really works,” said Reichert. An eco-friendly way to clean the interiors of appliance like washers, dishwashers and garbage disposals. Made with powerful citric extracts, it is non-toxic, biodegradable and phosphate-free. 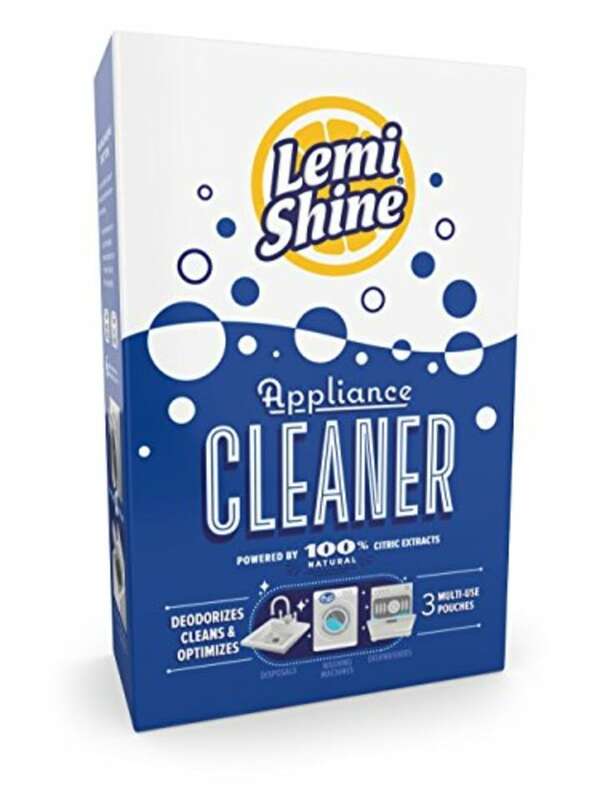 “All of Lemi shine’s products are awesome,” Reichert commented. Wash clothes without detergent or soap! The Laundry Egg contains two types of pellets: tourmaline ceramic pellets that weaken the bond between dirt and fabric and mineral pellets that lift dirt away. One egg lasts 720 washes and requires adding some new mineral pellets every 72 washes. Dermatologically tested, it contains no harsh chemicals and is perfect for babies or people with sensitive skin. 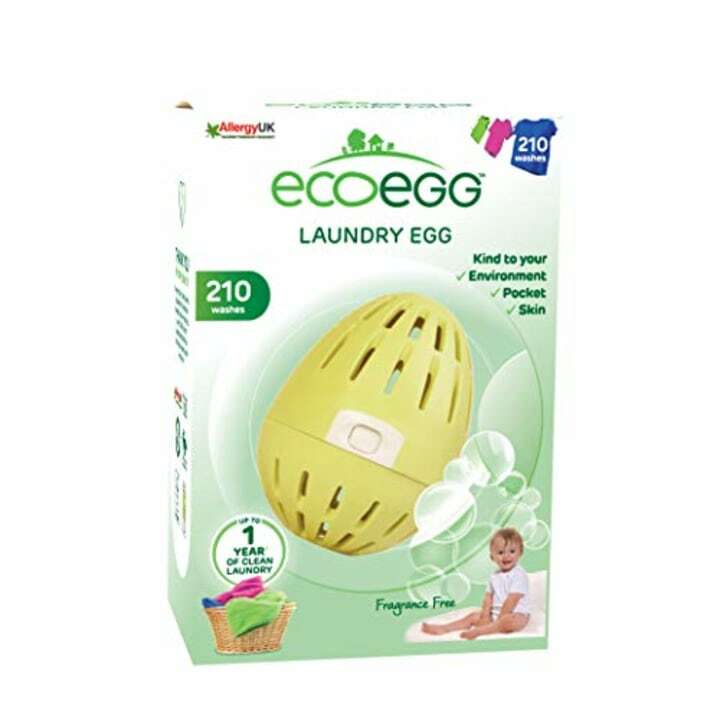 The fragrance-free Laundry Egg is supported by the National Eczema society. Also available for $3 (for one bottle) at Walmart, Bed Bath and Beyond and Target. 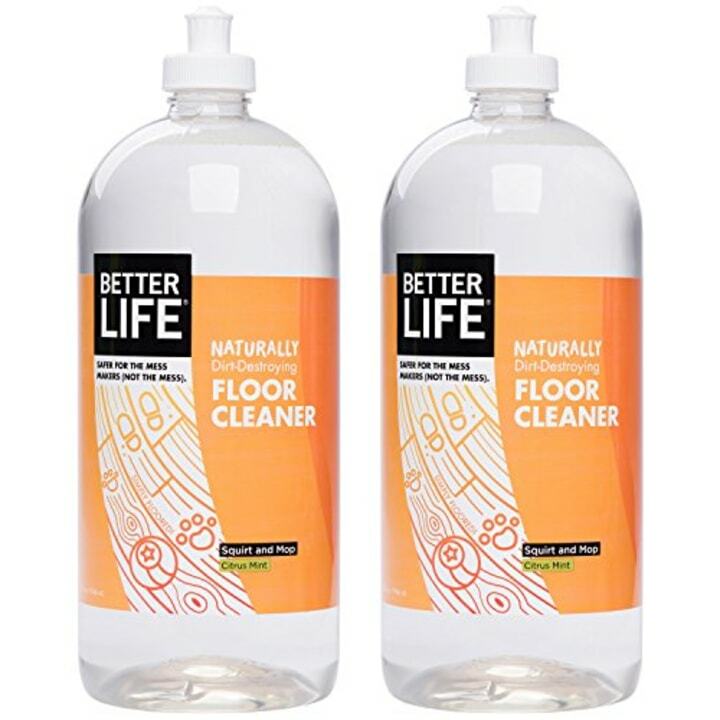 This cleaner combines plant-derived ingredients and essential oils for a natural way to get rid of kitchen messes and bathroom odors. It’s great on all non-porous surfaces such as finished wood and tile floors, countertops, walls, porcelain, bathroom fixtures, sealed natural and synthetic stone. Plus, it’s made in the USA. 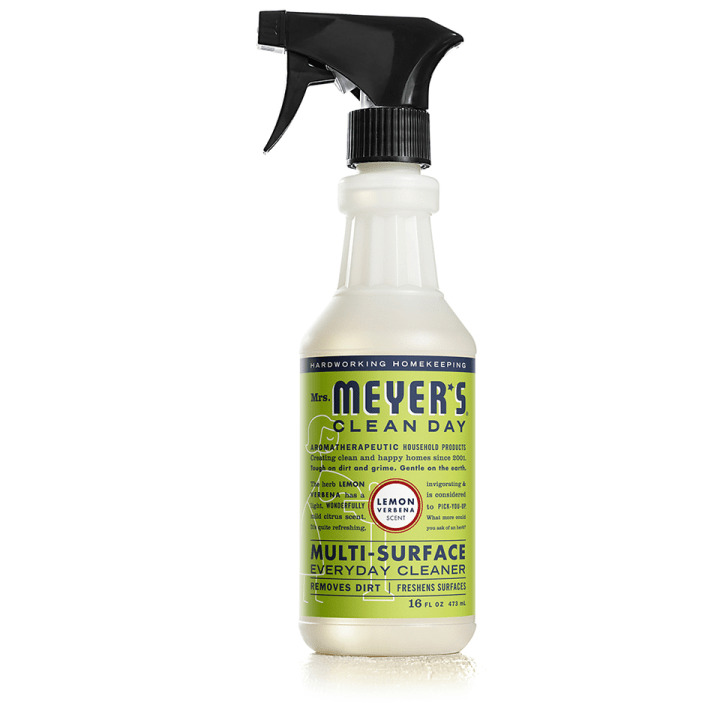 “This product is rated C by EWG but Mrs. Meyer's products are a great first step in trying to remove toxins from cleaning products. I love the scents!” said Reichert. Also available for $4 (for one) at Walmart. Also available for $3 (for one) at Target and for $54 (for eight) at Walmart. Also available for $6 (for one bottle) at Walgreens. 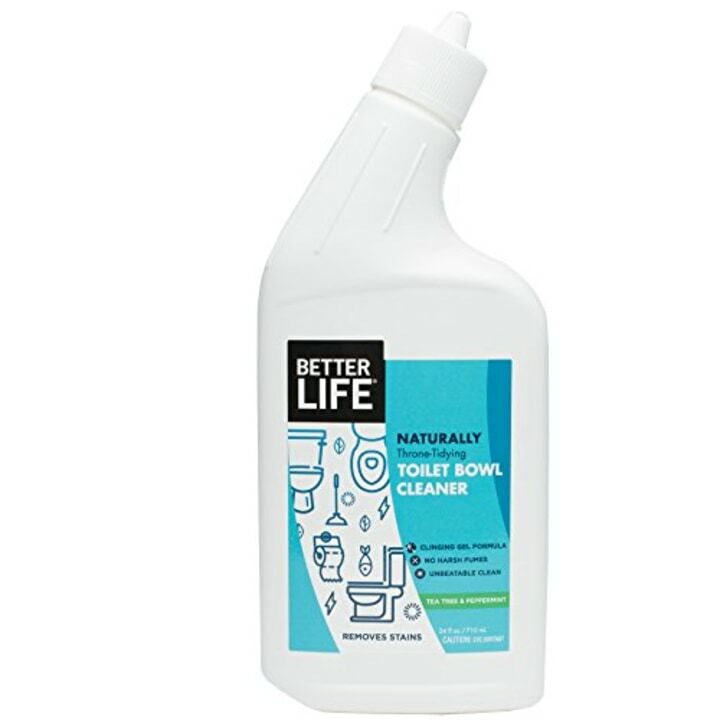 Naturally powered by plant extracts, this toilet bowl cleaner removes stubborn stains and deodorizes as it cleans. It’s thick, so it clings to the surface for effective cleaning. Safe for septic tanks and waterways. “I love all Better Life products,” said Reichert. 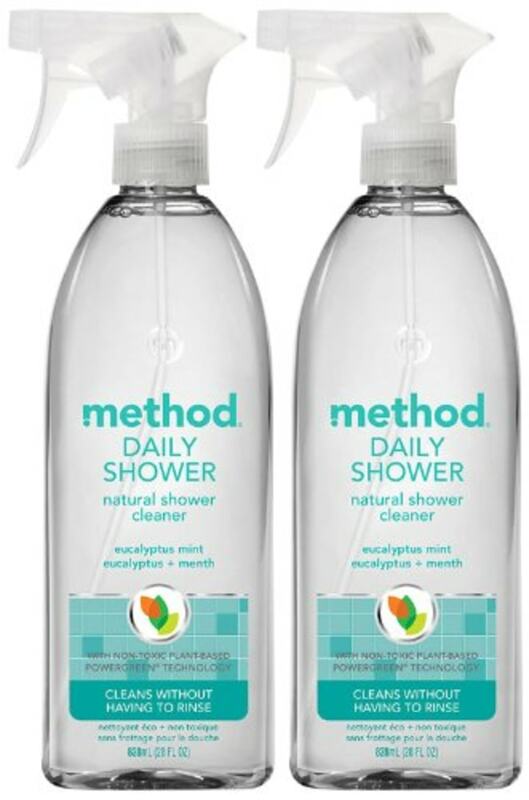 “While this one isn’t rated by EWG, all their other products are As and Bs. 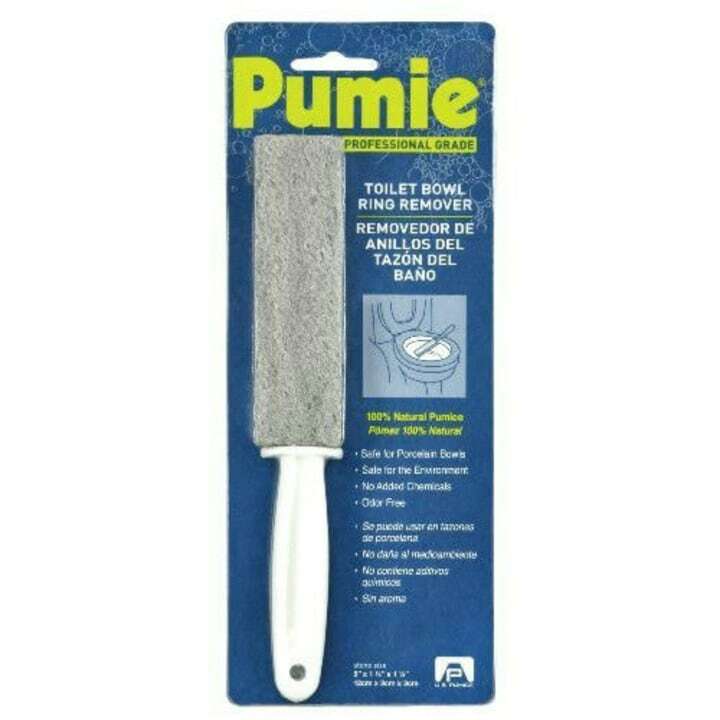 I would also recommend a pumice stone for removing toilet bowl ring. Nothing does a better job on it."